Worship was wonderful this morning. The choir and orchestra did A LOT of Vivaldi’s Gloria and there was communion. 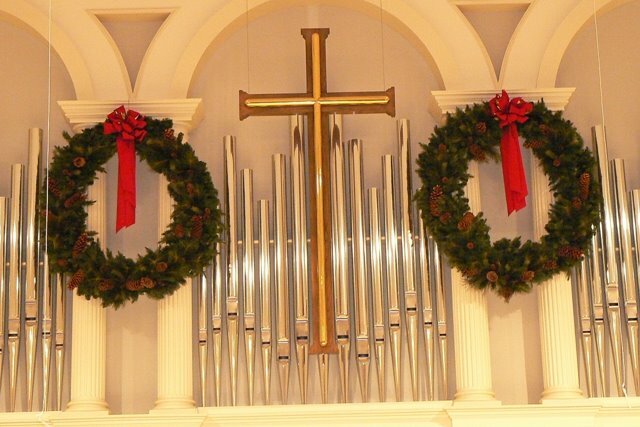 The sanctuary was decorated for the season, the message was convicting and reassuring, and it was wonderful.